Kapok fibre is the floss from inside kapok pods and is a fantastic filling for pillows because it is healthy, comfortable and long lasting. Our pillow shells are certified organic by GOTS and OEKO-TEX Standard 100. The kapok is naturally organic and not treated with any chemicals at any stage, so no synthetic outgassing. Kapok has been proven to resist Dust Mites and mould so is resistant to all the nasties that breed in other pillows which can become bad for your health after as little as six months according to experts. All of our pillows have a zip on one of the short ends so you can adjust the thickness of your kapok pillow and fit standard Australian sized pillow cases. Traditional kapok pillow with cotton outer shell. Your choice of how much kapok in organic cotton outer shell and with a zip for adjustability. Exclusive to Kapok Shop. Bamboo fabric filled with A grade kapok fibre and a zip for adjustability. Bamboo fabric is soft and slightly stretchy and filled with A grade kapok fibre creates a pillow that is soft and snuggly yet still supportive. Kapok Pillows are not only eco friendly and healthy, they are so comfortable that we can't sleep on anything else and travel with ours everywhere. The kapok floss in our pillows is soft, silky and clean. And because it also repels moisture, your pillow will not breed any mould, mildew or any other nasties that can be bad for your health. In fact you don't have to replace your kapok pillow every six months which is advised for other pillows. 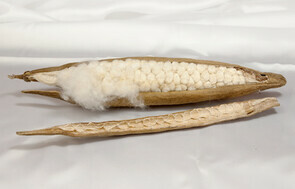 The kapok inside your pillow can keep going for decades and only the outer shell needs to be washed or changed. This makes your kapok pillow healthy and cost effective. Kapok is resistant to dust mites, mould and mildew so it is hygienic, non toxic, hypo allergenic and environmentally friendly. 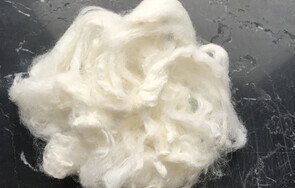 Miraculous silky kapok fibre is one of the few sustainable rainforest crops, because the tree grows naturally and needs no cultivation or irrigation. Harvesting the kapok also creates jobs for local communities. In many ancient cultures it was revered as a substance with spiritual, even magical qualities and was thought to enhance dreams. Our kapok is harvested from the kapok trees of Java Indonesia because that is where the best kapok is grown. The pods are collected from the trees by local farmers, the silky floss taken out and the seeds removed. There are no pesticides or chemicals used on the kapok at any stage. Both the bamboo and cotton pillow shells are certified organic by GOTS and OEKO-TEX Standard 100. The kapok is naturally organic and not treated with any chemicals at any stage. The pillow shells are fully adjustable with a 22cm hidden zip on the short end of the pillow, so it doesn't impede your sleeping comfort. 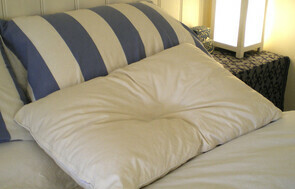 Kapok pillows are cost effective because the kapok repels dust mites and mildew, remaining clean and pure for decades. You can purchase new pillow shells and kapok to top up from time to time. Which kapok pillow should I choose? You can choose between bamboo or cotton outer shells for your kapok pillow, and people often ask me "How can I chose a pillow without feeling it first?". There are two answers. First they are adjustable so the hight of the pillow is not important, you can make your pillow just the right hight for you. Secondly if you like a soft pillow choose bamboo, if you like a firm pillow choose cotton (although having said that you can make a bamboo kapok pillow firm if you add enough kapok). Bamboo fabric is thicker and heavier than standard cotton, yet soft, silky and known for it's ability to wick away heat and anti bacterial qualities. Because the bamboo fabric is slightly stretchy, a kapok pillow with a bamboo outer shell means that your kapok pillow is soft and comfortable from the first nights sleep, yet still supportive and malleable. Cool in summer and warm in winter. The kapok pillow with the cotton outer shell is firmer than with bamboo, yet still comfortable and malleable. Our cotton pillow shells are gorgeous unbleached twill. Cotton twill is thicker and softer than standard cotton weaves which means your kapok pillows is more durable and comfortable. So if you like a softer pillow choose bamboo, if you like a firmer pillow choose cotton. Both pillows are adjustable via the hidden zip. 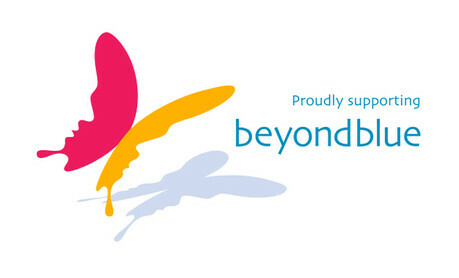 Or call us on 0412 526 883 to pay over the phone.